We are relentless about people. We are relentless about you. More than anything, we want to see every single person in any life stage connect with people and grow in their faith. At LCC we know one thing to be true: we were created for community. How we express community here at LCC is through our groups ministry. As we continue to grow in numbers, we desire to make sure we “grow smaller as we grow larger.” Groups help us connect with each other and allow us to connect to a community where we share common interests or the same phase or stage of life. It creates an atmosphere that people (like you) can engage in healthy relationships with like-minded believers and grow together. But it's not just about growing together and connecting with people. It's also about doing life together and reaching out to others. During Hurricane Matthew, we saw many of our life groups step out to serve our community, connect with hurting families, and bring hope in the midst of disaster. 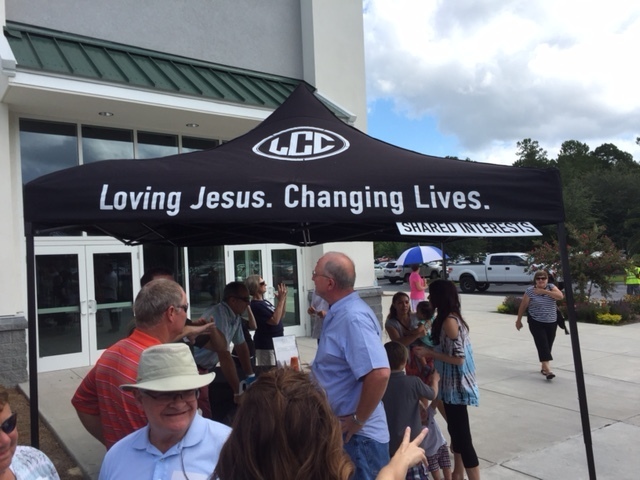 Recently, one of the women we had served in the hurricane clean-up was so overwhelmed with love shown by LCC, she brought two friends to church with her. During Christmas, six men from four different groups gathered together and raised over $1400 dollars to feed 350 men in the prison in Ridgeland. Through their actions and hearing the gospel, over 30 men took the step of salvation for the very first time. We have story after story of how life groups contribute to our missions and outreach initiatives, and we are seeing lives changed.